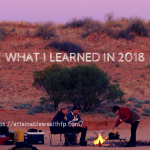 Another year is over and as always, around the beginning of February, I sit down to think about what I learned about life and money over the last year. So here goes the 2017 edition. You really do not need all that stuff to be happy. This year was very different for me. Lots of changes, lots of moving and lots of reconsidering of what I want from life. 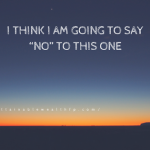 I am still not sure what I want; do I want “nice” things or do I just want “enough” things? I survived living out of one bag for months between California, Florida and Japan and didn’t miss much of the stuff that’s in storage. Do I really need all that stuff then? Probably not. One thing I do know though is that you need to figure out for yourself how you feel about this topic. Have you ever sat down, looked at everything you owe and asked yourself: is this stuff worth a monthly payment? Is this worth the extra hours I had to work to get it? If not, it may be time to take a look at your recurring bills. One way you can do that is by listing all your recurring monthly expenses, from mortgage/rent to Hulu and asking yourself, does this make me happy? Do I really want it? Is it worth the price tag? If not, it is time to cut it out of your life. It is OK if you do not max out your 401(k) AND your 457 all the time. I am probably more enamored with the idea of maxing out all the possible retirement accounts than with the actual need (or feasibility) to do so. 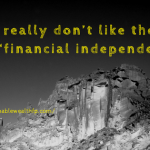 Financial planners like saving and I am no exception. But at one point, you realize that the desire to buy a new couch is stronger than the desire to max out your 457, even if it is a $7k couch (and no, I would never spend that much money on a couch but it doesn’t mean that you shouldn’t!) .. so one day, you stop the double contributions and buy the couch. I am still looking for my perfect couch but it will happen this year! Despite my aversion to paying off debt (and if you read my book, Mastering Money, you know that I have a whole chapter on why paying off debt is not a great idea), not having debt actually feels really good. For those few brief weeks this year when there was absolutely no debt in my life (thanks to my husband’s insistence, not mine), life felt pretty good…In my imaginary world, I could pack my bags and move to Thailand to drink their local beer sitting on the beach instead of working (why beer and not wine? because I have never had worse wine that I did in Thailand).. Or I could finally spend my days reading books by the pool instead of working. 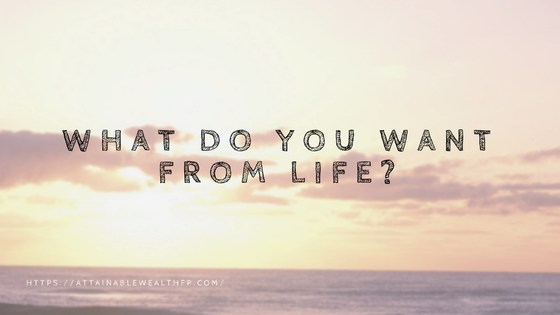 Your life options seem limitless when there is no monthly payment forcing you to work. And regardless of how much you love your job, dreaming about all those crazy scenarios is still fun. There is tremendous value in doing what you love. When your work is “fun” and you do it because “you like it”, it does not feel like work. We all know that. But have you ever experienced that feeling? It took me many years to get to a point where it feels like fun and joy and sometimes, even now, when I get 120 emails from my students asking the same question, I forget that I really love what I do. But overall, if you could figure out how much you want to work and what you actually want to do for the next gazillion years, I am pretty sure your life will be just a little bit brighter. It’s never too late to have a radical career shift, as one of my clients taught me this year when she left academia for something that made her much happier. Finally, to figure out what life you want to have, you actually need to figure out what YOUR number is.. what is your number? That would be the income you need to have per year (after tax) to be happy/ OK/ content/ whatever your goal is. I think I finally know my number. Figure out what yours is because if you don’t really know what you are working towards, how do you know when to stop? Who knows, maybe you are already there.